The evening of January 29 in Bangalore, India's IT and start-up hub, made for a perfect setting for discussion and brainstorming amongst HR leaders of top companies in the city. 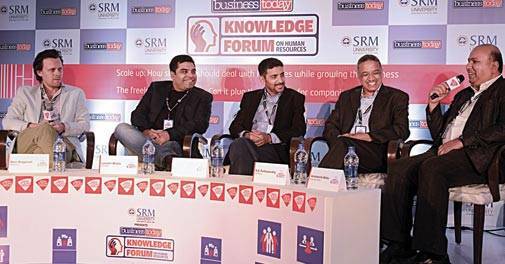 The venue, the Hyatt hotel, turned a hotbed of activity as panellists debated the nuances of (a) how start-ups should deal with HR issues while growing the business, and (b) the freelance marketplace: Can it plug the skills gap for companies? Both discussions were moderated by BT's Deputy Editor Venkatesha Babu. 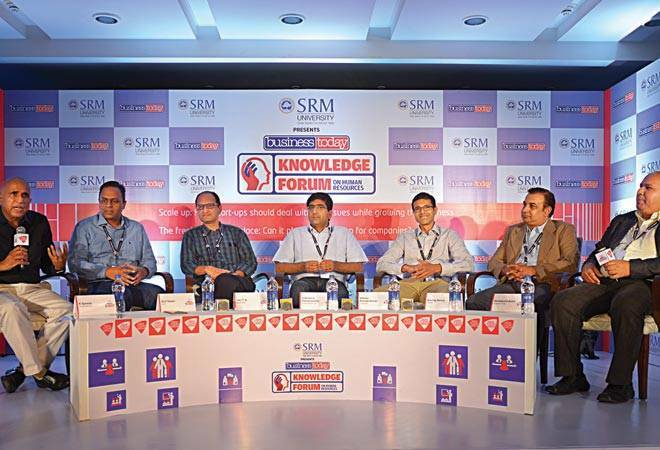 The first topic starred six of the city's leading entrepreneurs and HR practitioners. K. Ganesh, Partner of Growthstory.in and a serial entrepreneur, started proceedings: "When you start a company, you're trying to prove a business model. As you grow, the culture and kind of people required changes." Ganesh referred to companies like Infosys, Wipro and Microsoft that have grown from start-up stage to become giants, and pointed out that the responsibility of founders towards employees changes as growth kicks in. Anurag Verma, Director, HR for Supply Chain Platform at Flipkart, said that in the initial stages, employees are largely drawn from the founders' own network. But the most delicate phase is when A and B series of funding come in, and start-ups start attracting new talent. "What has worked in Flipkart is that the two founders have always connected with the new people coming in, and have taken senior people along." Srikrishna Ramamoorthy, Partner, Unitus Seed Fund, said that in the race to scale the business, entrepreneurs shy away from building a senior team. "That is something we lay a lot of emphasis on; a lot of times entrepreneurs want to hire people like themselves, but the other way probably works better." Atul Tewari, COO of 'unicorn' start-up Quikr and head of Quikrcars, said: "One of the important things for us is the cultural fit. For example, the will to succeed is very important. The skill part we can all train." Vikram Ramakrishnan, Co-founder and Director of Linkstreet, said that in a start-up, there is no HR function, and people need to multi-task. "Some of the most successful people we have brought in have done a variety of roles." Hari T.N., HR head of online grocery major Big Basket, echoed Tewari's views on culture: "Culture is real - it differs from company to company. You have to be clear what you stand for and what kind of people you want to attract." The second panel, on the freelance marketplace and skill gap, started off with ageless entrepreneur Pradeep Kar, Chairman and MD of Microland, saying that Microland itself had freelancers even in senior positions, and that globally you could hire CXOs for an interim period. "I think that model will evolve." Sean Blagsvedt, CEO of Babajob, an organisation that provides blue-collar workers, said that one of the reasons freelancing has become viable is because of the advent of computers and networks. "Phones are getting out there - which means there's suddenly a computer and a unit of work that somebody can program against, which virtually everybody will have in the next five years. That enables new types of business models and algorithmic efficiency that we haven't even fathomed yet." Lovleen Bhatia, Co-founder & CEO of online education start-up Edureka, pointed out that his company was built on freelancing: "We have 400 freelancers taking class, we deliver 3,000 classes every month and are growing fast." He expects a lot of people getting out of full-time jobs and "getting into services like ours". N.S. Parthasarathy, President & COO of leading IT services company Mindtree, believes that as the Indian employability market matures, freelance will be here to stay. "But I think the model in which it will grow in India will probably be very different from other parts of the world." In services companies, freelance can be used in only a few pockets, he opined. 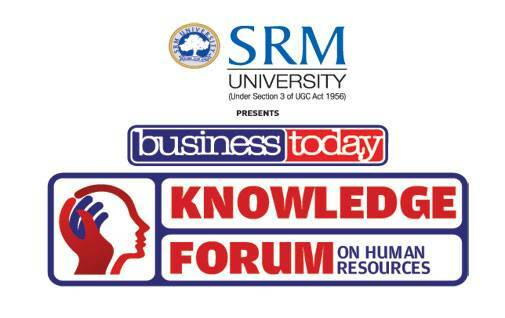 The event was sponsored by SRM University.